Quarry Lakes Golf Course was built around a large spring fed lake, with fairways cut through coniferous forest. You will be challenged by narrow fairways and forgiven by the best greens in Durham Region. Only eight years young, our course offers both the seasoned golfer and the eager beginner a wonderful round of golf. You are going to need every club in your bag! 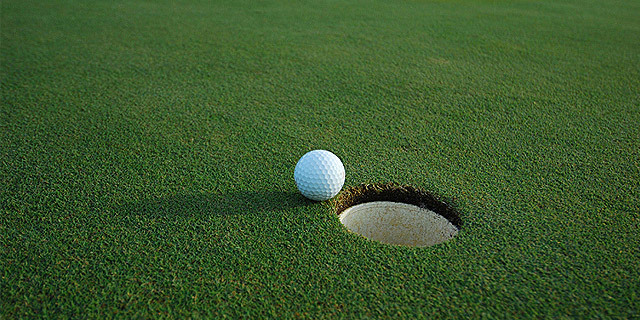 Quarry Lakes Golf & Recreation Centre Inc. offers a large driving range with both artificial and grass tees. We have a gorgeous putting and chipping area. We also offer lessons for the very young and the very young at heart. Clinics are run every Saturday Morning for Children and Golf Camps are run throughout the Summer. Lessons and Clinics are available for adults throughout the golf season. Quarry Lakes Golf & Recreation Centre Inc. is a great family place. We offer affordable fun for the whole family. We have a beautiful Miniputt Course that hosts Birthday Parties. You can relax on our patio and enjoy a home cooked breakfast, lunch or supper. We are licensed by the LLBO.